Can You Watch Netflix With A Free Trial? Can You Bypass The Great Firewall Of China With A Free Trial? 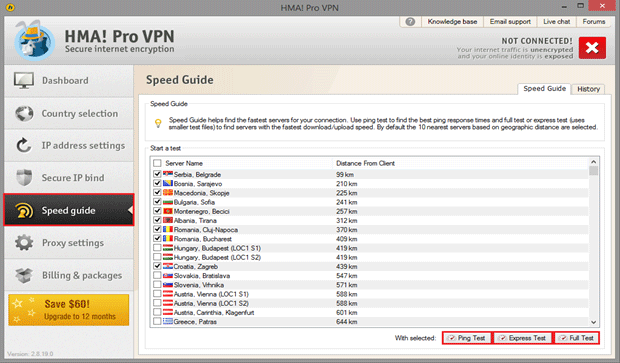 How Are Free Trial VPNs Different From Free VPNs? How To Make Sure That You Don't Get Billed When The Free Trial Is Over? When looking for a VPN, you’ve often got a specific use for it in mind. Whether you need it to watch Netflix, become totally anonymous, protect yourself from cyber attacks, or gain internet freedom, there’s nothing more disappointing than downloading a service that can’t complete the task. Luckily, free trials exist so that you can scrutinize a VPN and ensure that they’re the right fit for you. While reading reviews and looking at recommendations can be useful, it doesn’t quite compare to testing out the service out for yourself. Finding a quality VPN that offers a genuine free trial however is no easy task, so we’ve compiled a list of the best-rated services offering either free trials or a money-back guarantee. While the latter isn’t free, it does allow you to try a VPN service for a set period, knowing that you can get a full refund if you’re not satisfied with the product. 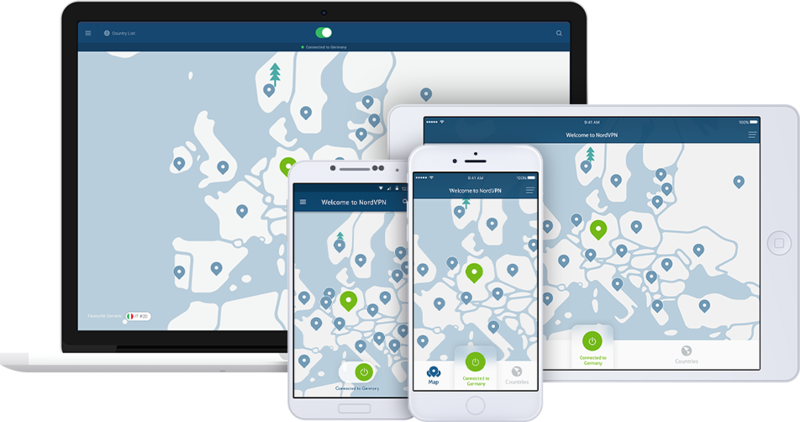 NordVPN is among the most secure and affordable services available today, and a great option if you want to try the service before committing. That said, it’s important to note the customer support team will take a crack at fixing any problems you’re having before offering a full refund. However, once you’ve tried NordVPN for yourself, we’ll be impressed if you can come up for a reason not to continue with their service. Regarding security, you can protect up to six devices simultaneously with just one account. Plus, the company has a strict no logs policy and offers a choice of various security protocols. DNS leak protection and automatic kill switches are also available. This VPN is one of the few services that provide users with an in-built adblocker, known as CyberSec. CyberSec is designed to protect you from malware and DDoS attacks, and block unwanted ads, popups, and suspicious websites. 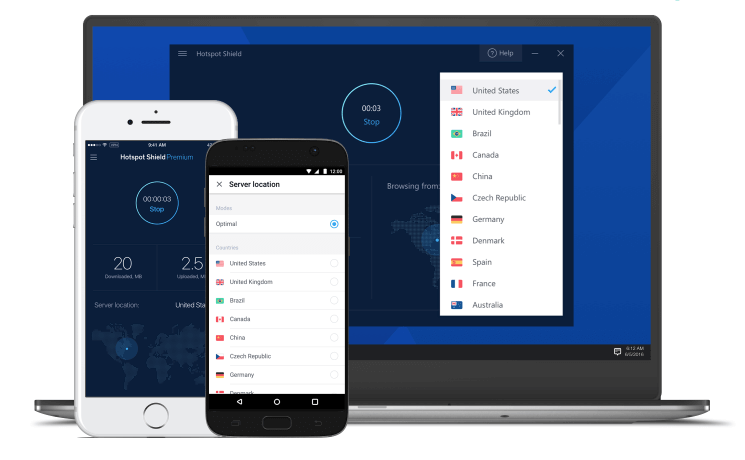 NordVPN is known for their unique range of server options giving you a choice of several different server types. Double VPN, Onion Over VPN, P2P, Dedicated IP, and obfuscated servers are just some of the options available to you. They also offer a “quick connect” option that will automatically connect you to the best server available to you. NordVPN’s obfuscated servers are particularly special as they are specifically designed to bypass the Great Firewall of China and can do so with great success. NordVPN’s servers also have great speeds, and they can unblock several streaming sites like Netflix, Hulu, BBC iPlayer, and more. This allows you to stream your favorite shows regardless of where you are located. 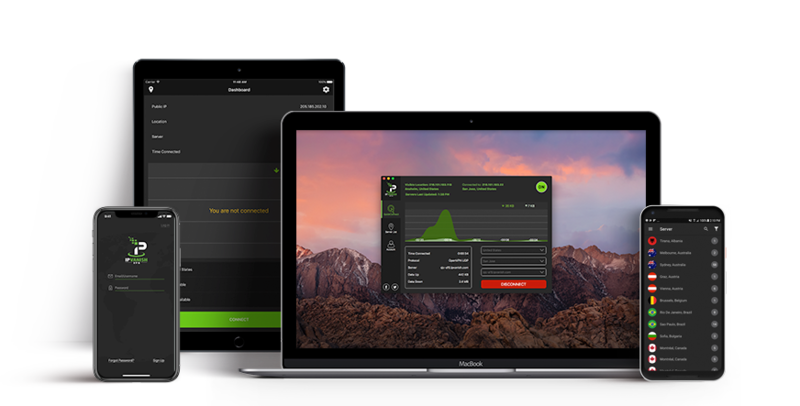 ExpressVPN also doesn’t offer a standard free trial, but you can use the service risk-free with their 30-day money-back guarantee before deciding to commit. If you’re not happy with the VPN, you can contact their live 24/7 customer support team, and they’ll issue you a full refund, no questions asked. With ExpressVPN, you’ll enjoy the fastest VPN speeds on the market without any throttling. They also ensure all users have unlimited bandwidth. This combo, along with their reliable servers, means you can stream your favorite Netflix shows without restraint. ExpressVPN is one of the only VPNs out there that can access Netflix France which has some of the most complex geo-blocks around. Your privacy and security are a top priority for ExpressVPN and are achieved with 256-bit AES encryption, DNS leak protection, and kill switches. Their headquarters are also based outside of the 5/9/14 Eyes Alliance in the Brittish Virgin Islands. The robust zero logs policy that they have in place ensures no hackers, cybercriminals, or government agencies can get their hands on your data or activity either. You can connect up to three devices at the same time with ExpressVPN allowing you to protect both your phone and computer. They also have great applications specifically designed for all the major platforms like Windows, Mac, iOS, Android, Linux, and even some routers. CyberGhost VPN comes with one of the most substantial money-back guarantee periods in the industry. Better yet, the customer support team will issue the refund within just a few days and won’t hassle you about a change of mind. CyberGhost don’t question your decision and are on-hand 24/7 to help you with any queries which can be particularly useful if you’re unfamiliar with VPNs. With CyberGhost, you’ll have access to unlimited data which is perfect for streaming and torrenting. They have also been able to unblock Netflix in several different countries consistently. If Netflix isn’t your thing, CyberGhost is also able to bypass the restrictions of other streaming giants like Hulu, Amazon Prime, and ESPN. One account allows you to protect up to seven devices simultaneously. All your traffic will be secure thanks to the highest standard 256-bit encryption, kill switches, and integrated ad blockers. We even tested the VPNs DNS and IP leak protection to see if we could find any faults, but you can rest assured knowing that you’ll stay wholly hidden with this service. As CyberGhost is based in Romania, this VPN is located outside of the 5/9/14 Eyes Alliance so you won’t need to worry about your information being passed through a chain of government agencies and surveillance teams. If you’re looking for a service that values your privacy and security above all else, you can’t go past CyberGhost as their dedication to your online safety and anonymity is undeniable. With Surfshark VPN, you’ll benefit from a no questions asked guarantee. Better yet, the company promises to offer you a full refund with their 30-day money-back guarantee. This is an excellent option if you need a VPN temporarily to download a few files or to binge watch your favorite show. Bypassing Netflix’s geo-restrictions is easy with Surfshark, and you’ll also be able to gain access to other streaming sites like BBC iPlayer, Hulu, and Amazon Prime. Their connection speeds are impressive, so you won’t need to worry about buffering or loading screens while you’re enjoying your shows either. Surfshark uses the most advanced security protocols, including 256-bit AES encryption, CleanWeb (in-built adblocker), DNS leak protection, and kill switches. The service will help you overcome bandwidth limitations and blocks ads, malware, as well as trackers. Additionally, the customer support team is available 24/7, and the company has a strict no logs policy. If you buy your premium subscription via iTunes or the Microsoft Store, you will have to contact the payment processor directly for a refund. But otherwise, the process for accessing Hotspot Shield’s 7-day free trial is pretty straightforward. 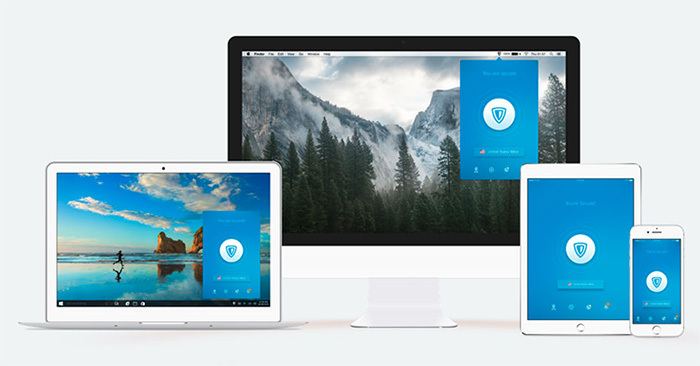 Hotspot Shield VPN secures your data with the highest level of encryption. Additionally, the company ensures you are protected from hackers and comes with an automatic kill switch. However, they do still keep some logs which they sell onto third-party advertisers to make money. If you’re uncomfortable with your VPN anonymously passing on your data to advertising companies, Hotspot Shield might not be the VPN service for you. 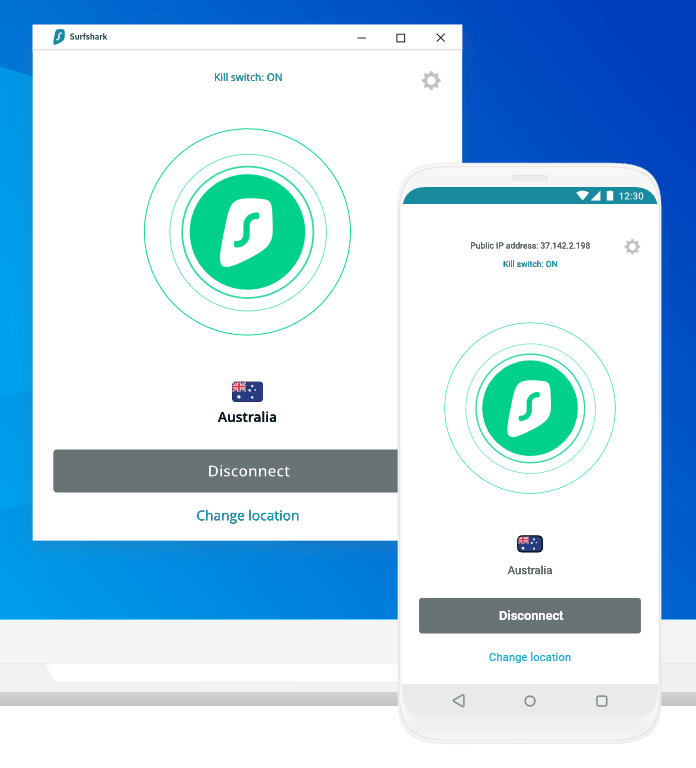 Functionality is good, and you can connect up to five devices with just one account with this VPN. They also provide users with unlimited bandwidth and sport surprisingly fast connection speeds. PrivateVPN offers a free 7-day free trial, but to get it, you will need to contact their customer support staff and get a gift code. After your free trial expires, you’ll be able to take advantage of their 30-day money-back guarantee as well so you can see how the service will fit into your life. For security, PrivateVPN supplies 2048-bit encryption with AES-256, IPv6 leak protection, and kill switches, with a zero-logs policy. It’s also based in Sweden, a country notorious for its strict privacy laws. Users can enjoy unlimited bandwidth and speed, with up to six simultaneous connections on the server network consisting of more than 60 countries. The ZenMateVPN trial has no limitations as long as you confirm your email address. Once your trial is up, you can then sign up for any of the premium plans if you like what they have to offer. With Zenmate, you can protect up to five devices simultaneously, meaning everyone in the family can stay protected while online. You can also connect to 30 different server locations, and they have the advantage of lightning speeds which comes in handy when you want to stream Netflix. The only issue is that the company is based in Germany, which is a part of the 5/9/14 Eyes Alliance, meaning that any data obtained by the German government will be shared with other agencies across the globe. Despite this, Zenmate promises to have a strict no logs policy which hasn’t failed yet. IPVanish VPN has a free 7-day trial for all iOS users, allowing you to test out what they have on offer. However, for Android and Windows users, unfortunately, there isn’t a free trial for you to test out. Instead, you’re given the option of a 7-day money-back guarantee. Regardless of the version, all users can enjoy unlimited bandwidth and have full access to their server library consisting of more than 1,000 choices in over 60 countries worldwide. Plus, the service secures your data with 256-bit AES encryption and gives you access to various security protocols depending on your individual needs. With IPVanish, you’ll be entirely hidden from any prying eyes and protected from all cyber attacks. HideMyAss VPN comes with 30-day money back guarantee period and allows you to cancel your subscription anytime you like. Opting for one of the service’s plans gives you access to 800+ servers in more than 280 locations across the world. Moreover, each account allows you to protect up to five devices, and you’ll benefit from military-grade encryption. With HideMyAss VPN, you’ll also get to take advantage of some incredible unblocking powers, giving you unlimited access to content and complete internet freedom. With VyprVPN, you can try the service for three days completely free of charge. Plus, you won’t receive a bill for your plan until your free trial expires. However, once your three days are up, you’ll either need to cancel the service, or you’ll be locked into paying for their service as they don’t offer any refunds. 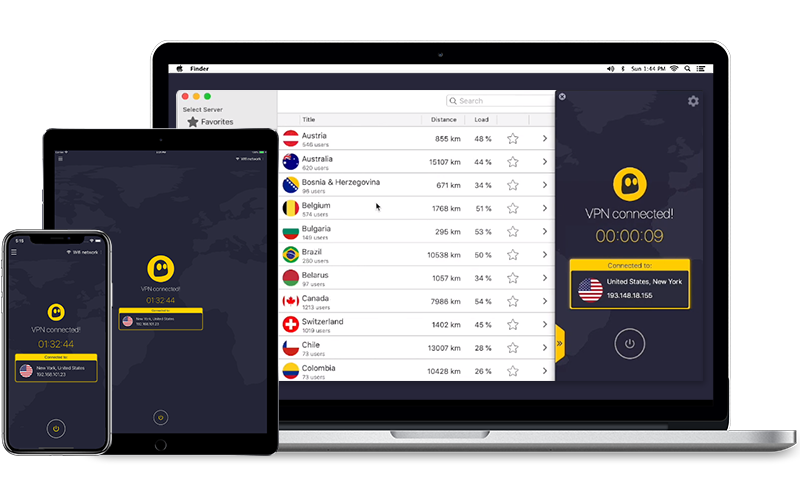 VyprVPN has some incredible security and privacy features you have to test out for yourself. With an automatic kill switch, 256-bit AES encryption, zero-knowledge DNS, DNS/IP leak protection, custom Chalmeon protocol, and no logs policy, you’ll be more protected than the military. While the free trial doesn’t come with any data caps, you will have to input your payment details and choose a plan for when it is over. 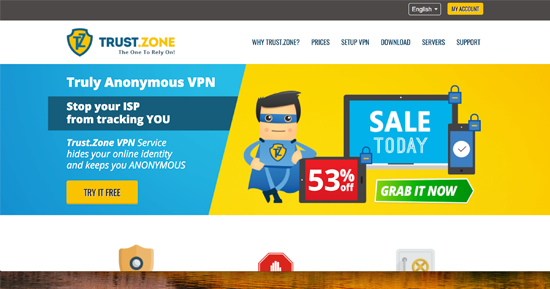 Trust.Zone VPN offers its users a modest three-day free trial and a bonus 10-day money-back guarantee. However, these free options will only allow you to access 129 locations and 1GB of data transfer, limiting what you’re able to do with them. These limitations only give you the opportunity to quickly test out their features and abilities to ensure that they work, rather than experience how the service would work for you on a day-to-day basis. With this VPN, you can only connect one device at a time, but it does have dedicated applications for several essential platforms such as Windows, Mac, iOS, and Android. While the free trial isn’t fantastic, the process of upgrading your plan to a paid subscription is easy and you’ll get unlimited bandwidth when you do. While SaferVPN does come with a free trial, it’s only available for a very short period of 24 hours. Due to the extremely limited period of the free trial, we suggest testing out this service by taking advantage of their 30-day money back guarantee period instead that way you can get a feel for the service and what they have to offer. All plans with SaferVPN come with unlimited bandwidth and speeds which is great when it comes to streaming. Speaking of which, SaferVPN is one of the few services on the market that can successfully unblock Netflix and other major streaming sites, so you’ll have access to all your favorite shows regardless of where you are. The company also provides users with a 24/7 live support team which can be helpful; however, when we tested their skills regarding complex technical questions, they seemed a little stumped and only replied with generic answers. Regardless, this VPN is a perfect choice particularly for those looking for a service that has great streaming capabilities. A free trial should give you the full benefits of a VPN service, meaning you’ll have access to all of their features including their streaming servers and ability to unblock Netflix. As Netflix has some extremely complex firewalls in place to stop users from accessing geo-blocked content, not all VPNs will be able to bypass them. Your ability to watch Netflix with a VPN will all depend on what the service you choose offers. Premium quality providers such as NordVPN , ExpressVPN , CyberGhost , and SurfShark have all proved to be effective and reliable when it comes to bypassing these restrictions, however, some other services might not have the same capabilities. Once again your ability to sneak through the Great Firewall of China will all depend on the VPN service you’ve chosen to install. Some VPNs will have servers specifically designed to bypass China’s firewall like NordVPN’s obfuscated servers, while others won’t. If a server doesn’t offer these features, then it’s likely due to a lack of resources and funds. If the service does boast about their ability to unblock the internet in China for their full version, using their free trial shouldn’t affect this. You should have complete access to everything offered by the service so that you’re able to test out the VPNs capabilities and differing features thoroughly. If you find a service that won’t allow you to access the full range of features they offer on their free version we would be cautious about committing to their service. Free trials enable you to test out the full extent of service and decide if you’re willing to commit to a subscription with them. A free VPN, on the other hand, doesn’t require you to pay a dime. 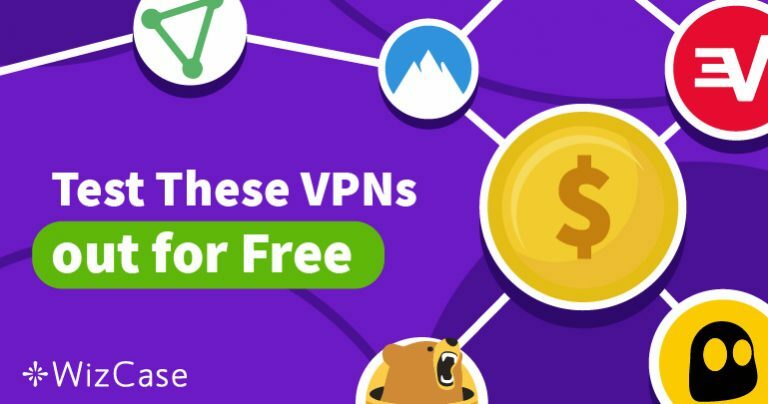 Some free VPNs are free trials in disguise, but they are usually limited in their bandwidth, speeds, and features, as their entire purpose is to entice you to purchase the paid version of their app. Other free VPNs can offer their services because they earn money in other areas, usually advertising. We suggest exercising extreme caution when using this type of free VPN as they often sell you data onto advertising companies and fail you in terms of privacy. How To Make Sure That You Don’t Get Billed When The Free Trial Is Over? The best way to ensure you won’t be overcharged when using free trials or money-back guarantees is to set up a reminder in your phone or calendar when you first download the service. It’s a good idea to have a few of these reminders set up to notify you in the days before the free trial is finished, so you don’t accidentally go over your limit. Another precaution you can take if you’re especially forgetful is to only sign up for the cheapest plan available when taking advantage of the money-back-guarantee offers and free trials. This way, if you forget to request your refund before the set period is up you won’t have to pay a fortune for your mistake. The cheapest plan for most services will be their monthly plans so make sure that’s the option you choose when checking out. With so many VPN services now available, choosing the right one can be daunting. However, the best VPNs come with a free trial or substantial money-back guarantee period so you can test the service before fully committing. We urge you to take full advantage of these services and put them to the test before settling down with the one that best suits your needs. Whichever service you go for, make sure it comes with unlimited bandwidth, protection for multiple devices, and military-grade encryption. You should also check where the company is located and ensure it has a strict no-logs policy before signing up.